Visiting ZEALANDIA Sanctuary and Southern Walkway will get you outdoors. 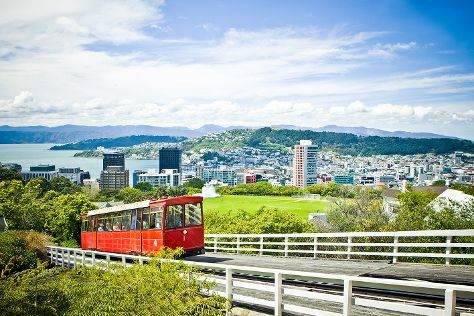 Deepen your sense of the past at sights like Wellington Cable Car and Kotuku School Memorial. Explore the numerous day-trip ideas around Wellington: Queen Charlotte Track (in Picton) and Wine Tours & Tastings (in Blenheim). There's much more to do: take an in-depth tour of The Great War Exhibition, pause for some serene contemplation at Old St Paul's, take some stellar pictures from Mount Victoria, and take in nature's colorful creations at Wellington Botanic Garden. If you are flying in from Portugal, the closest major airport is Wellington International Airport. In November, daily temperatures in Wellington can reach 20°C, while at night they dip to 13°C. Finish your sightseeing early on the 16th (Sat) to allow enough time to travel back home.